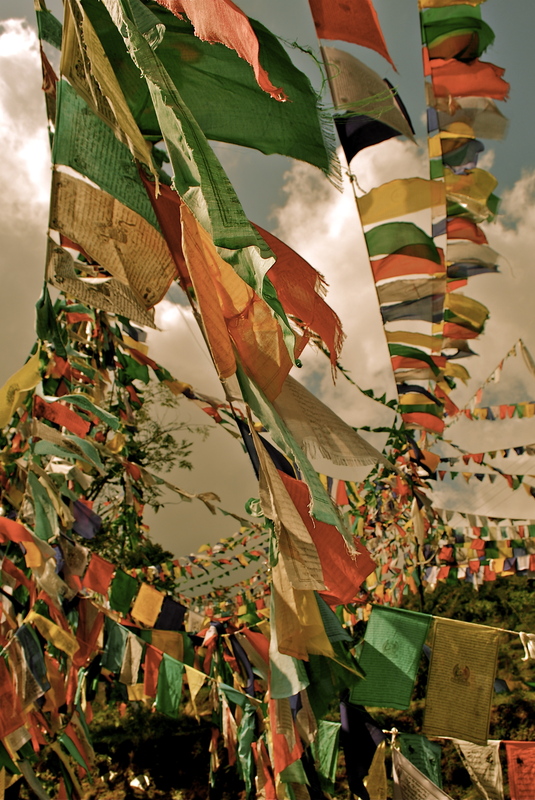 To me there are few things more beautiful than prayer flags fluttering against the breeze; a dance of shadow, light and colour. It has been far too long since I have sat below these flags in McLeod Ganj, closed my eyes and been mesmerised by the sound of silent prayers whipping in the wind. Just one of a myriad things I miss about my home from home. Gorgeous- the image and your description! Thank you very much, especially coming from you! Thank you very much Lauren, really lovely. Love the colors in this shot James!